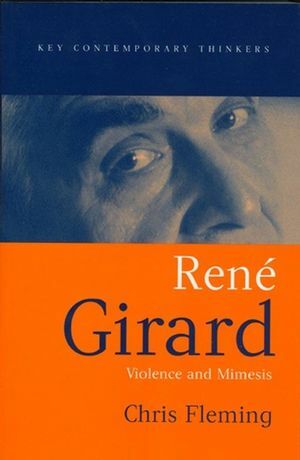 In recent years there has been a renewed interest in the work of Rene Girard, thought by many to be one of the most important, if controversial, cultural theorists of the twentieth century. Girard's work is extraordinarily innovative and wide-ranging, cutting across central concerns in philosophy, psychoanalysis, literary theory, anthropology, theology, and sociology. In this much-needed introduction, Chris Fleming traces the development of Girard's thought over forty years, describing the context in which he worked and his influence on a number of disciplines. He unpacks the hypotheses at the centre of Girard's thought - mimetic desire, surrogate victimage and scapegoating, myth, ritual, and the sacred - and provides an assessment of Girard's place in the contemporary academy. Comprehensive and clearly written, this book constitutes an excellent overview of Girard's work and is essential reading for students and researchers in continental philosophy, theology, literary studies, French studies, and cultural studies. Chris Fleming is the author of Rene Girard: Violence and Mimesis, published by Wiley. 2. Mimesis and Interdividual Psychology. 3. Generative Violence: The Scapegoat Mechanism. 4. Nonsacrificial Violence: Girard’s view of the Judeo-Christian Scriptures. 5. Girard’s influence on other disciplines. 6. Responses to the theory: Critiques of Girard.